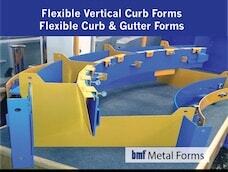 BMF Flexible Forms are engineered for the inside or outside radii of curbs & curbs and gutters. 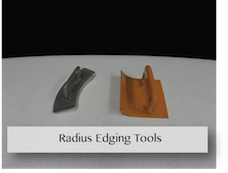 They are most advantageous where frequent radii changes occur. 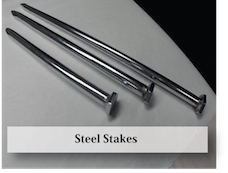 Constructed of high strength carbon steel, they are lightweight and the six stake pockets afford ample rigidity. 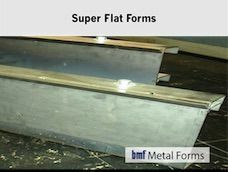 When a particular radius is to be used in a number of setups, specify BMF's optional Radi-Lok. 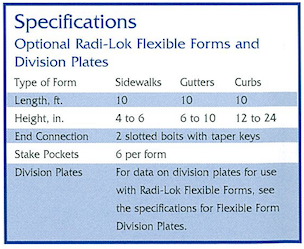 The exclusive Radi-Lok allows the curb and curb and gutter forms to be locked into the required radius, allowing presetting and transferring from one setup to another. 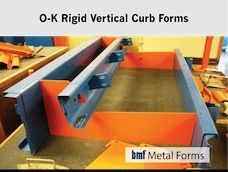 Vertical curb faces are easily made using BMF's vertical or J-face forms. 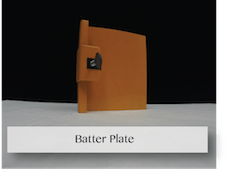 The exclusive B-B plates make possible battered faces with no radius, or single top radius and with the addition of the J-face form makes possible a double radius curb face. 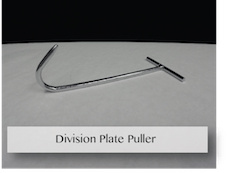 Division plates are easily inserted as required between B-B plates. The exclusive Radi-Lok (radius-locking) band holds the curve you set. 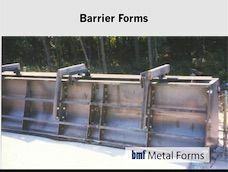 Allowing you to move the form, ensuring you don't have to lay out the curve each time. Please specify when ordering as an option. 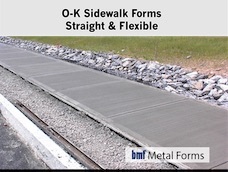 ​Radi-Lok forms are light, yet rigid enough to take hard use and stresses of pouring. The Radi-Lok band stiffens up the top of the form, and the exclusive stake guides keep the bottom from bulging by bracing it against the stakes. 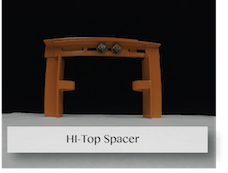 Here is truly "the form with a memory" - a form that will greatly reduce your setting time on curved work. 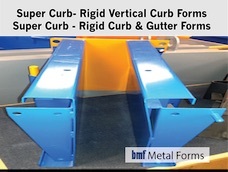 BMF B-B (Batter) Plates are an exclusive solution to the problem of adding batter to curved curb faces. 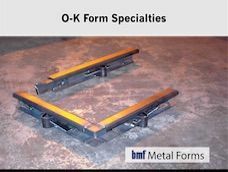 With B-B Plates this tricky operation can be performed quickly and easily, on any no-radius curb face, single radius curb face, or double radius curb face. 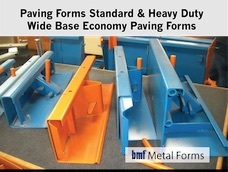 After the curb face form is set, simply set the B-B Plates on the upper edge of the curb face form and tighten the thumb screws on the B-B Plates. That's all there is to it!